Mashed potatoes are one food Dave, Nora, and I just can’t have enough of. Don’t get me wrong, we pretty much love all forms of potatoes — including, but not limited to, baked potatoes, fried potatoes, riced potatoes, tater tots, hashbrowns, hashbrown potato casserole, french fries, and potato chips. 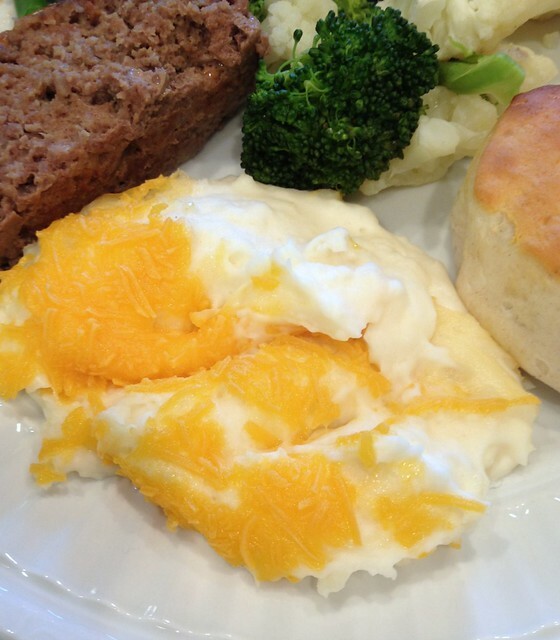 However, I’m fairly confident mashed potatoes would be all of our top choice when it comes to a good meat and potatoes meal like the meatloaf recipe I shared last week. 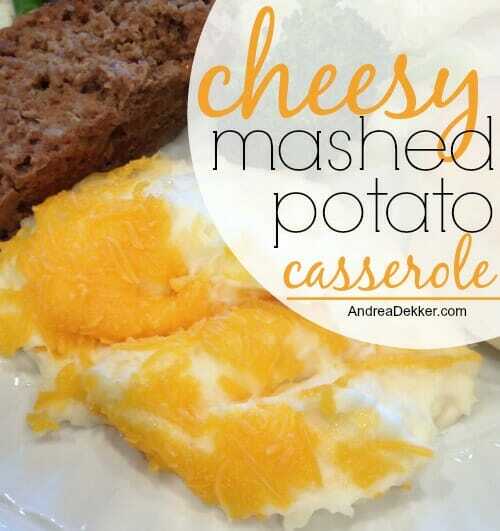 If your kids are anything like Nora (with an intense love of cheese and mashed potatoes) this recipe will certainly be a big hit with them. In fact, I’m sure it won’t be too much longer and Simon will be eagerly sharing in our love of mashed potatoes as he scarfs down spoonful after spoonful of the creamy goodness! In a medium sauce pan, cover diced potatoes with enough water to cover them by an inch. Add salt and bring to a boil. Boil for 15-20 minutes (depending on the size of your potatoes) or until potatoes are very tender. Add milk or cream, sour cream, butter, cream cheese, garlic, salt, and pepper to the potatoes and mash until everything is combined. 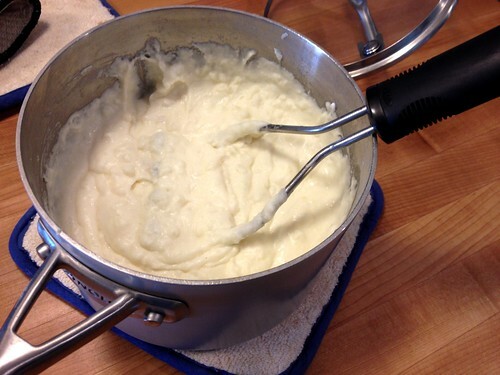 Scoop potatoes into a greased 9″x9″ casserole dish. 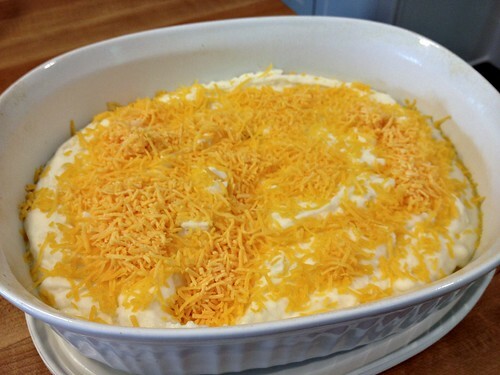 Sprinkle shredded cheese over potatoes. Bake, uncovered, for 20-30 minutes, or until cheese is melted and potatoes are heated through. Another thing I love about this recipe (besides the fact that it tastes amazing) is that it travels really well — making it the perfect meal to take along to a potluck or holiday party (although I would probably double the recipe for that and make it in a 9″x13″ pan). I have never frozen this potato dish (in general, I don’t freeze potato recipes). However, I almost always make it in the morning, or sometimes even the night before, and just pop it in the oven about 30 minute before we’re ready to eat. It’s just so quick and easy — definitely two desirable qualities for me right now! What are your favorite potato recipes? Know what’s sad sad sad? None of my kids like potatoes. And while my husband likes them as fries or roasted, he can’t stand them mashed. And all of my family but me are lactose intolerant. So I only get mashed potatoes on rare occasions. And that is SAD! Sad. Sad. Sad!!! Oh, I love potatoes! I make a similar recipe, and they do freeze well. When I make them for Thanksgiving (or other big occasions), I mash them the night before and put them in my slow cooker before refrigerating over night. The next morning, I heat them in my slow cooker on low for 3-4 hours. It works wonderfully – and frees up my oven! Not sure if you can buy canned “Baby Potatoes” or “New Potatoes” there in the US, but I occasionally I buy a large tin of these (800g), drain them and pan fry them in a mixture of oil and butter – then drain again prior to serving. Just something a little different to serve alongside wienner schnitzel & salad – yum ! 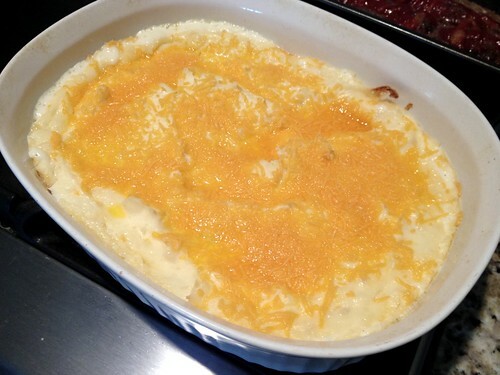 I have made this recipe with instant potatoes – and added bacon bits on top along with the cheddar. A hit at a potluck! well, bacon added to anything is extra good in my book 🙂 We also add bacon at times! Our family loves these potatoes too! I often freeze them and they turn out just as wonderful! good to know they can be frozen. Thanks Shari! So funny! 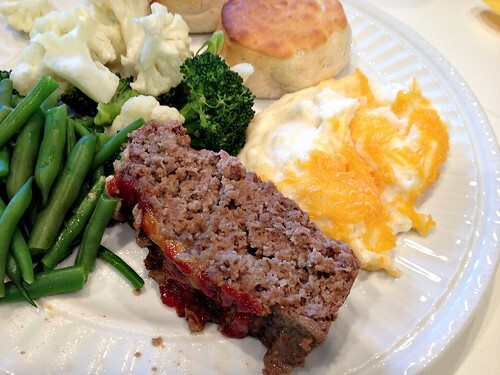 I’m planning to make your meatloaf recipe tonight! hope you liked the meatloaf! This recipe does sound wonderful! 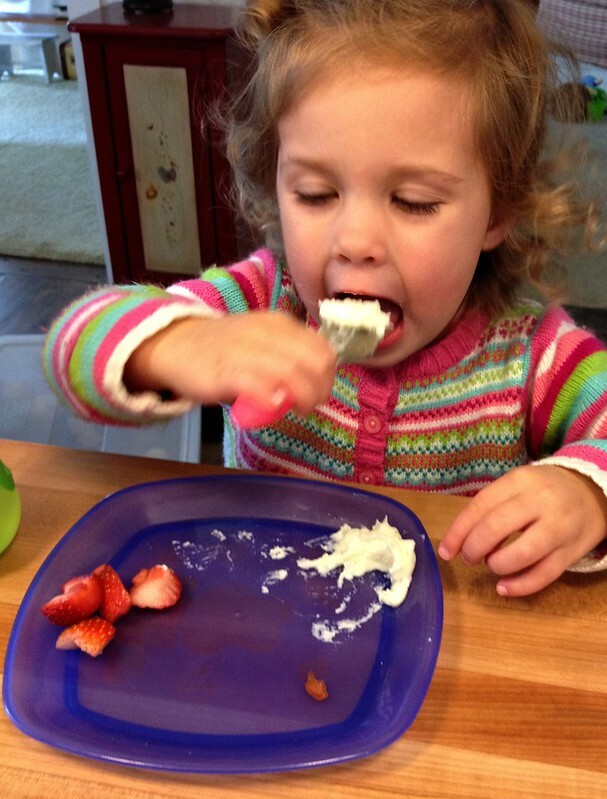 Hadn’t thought about using cream cheese. I am going to try these and your basic meatloaf recipe from the other day. My mouth is watering right now.